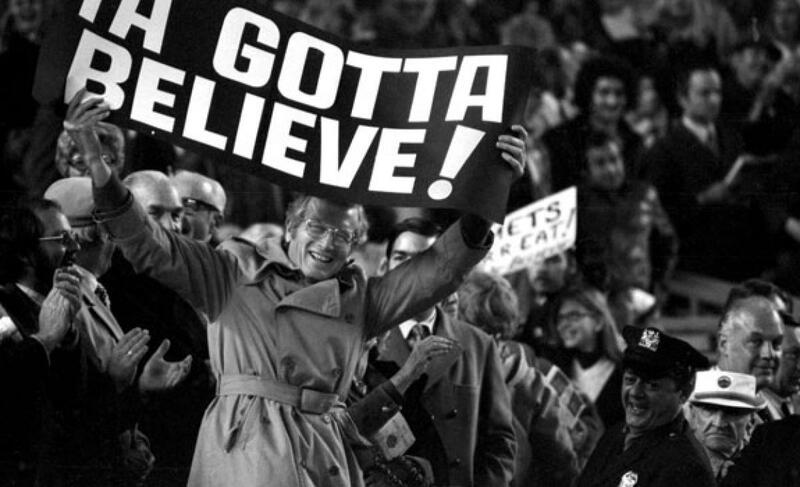 Alex Gordon | We Gotta Believe! The Mets take on the Royals in Game 5 of the World series tonight at 8:07 ET at Citi Field. The Mets face elimination, as they are down 3 games to 1. They would have to win 3 games in a row, starting tonight, in order to capture a World Series championship. Matt Harvey (2.71 ERA, 3.05 FIP, 1.02 WHIP, 189 1/3 IP over 29 starts) and Edinson Volquez (3.55 ERA, 3.82 FIP, 1.31 WHIP, 200 1/3 IP over 33 starts and 1 relief appearance) face off, in a rematch of game 1. In his three postseason starts, Harvey has a 3.38 ERA, 3.72 FIP, and 1.18 WHIP, having allowed 16 hits, 6 walks (1 intentional), and a hit batsman while striking out 18. Harvey’s best start was his NLCS game 1 start against the Cubs, during which he allowed only 2 runs in 7 2/3 innings. Volquez, in 4 postseason starts in 2015, has a 4.37 ERA, 4.68 FIP, and 1.28 WHIP, having allowed 16 hits, 13 walks (1 intentional), and 2 hit batsman while striking out 18. 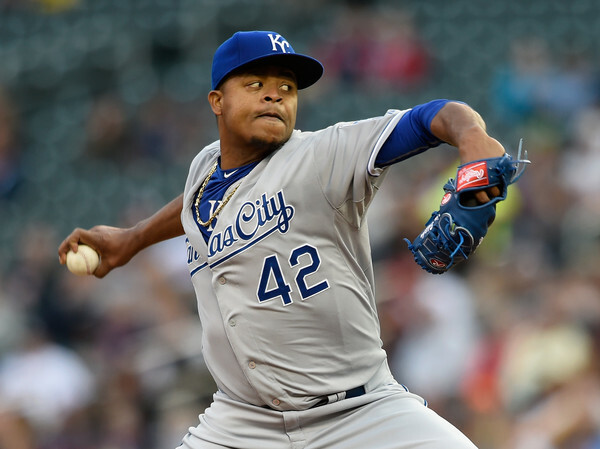 Volquez’s best start was in game 1 of the ALCS against the Blue Jays, in which he pitched 6 shutout innings, while only allowing 2 hits and 5 walks while striking out 4. Both Harvey and Volquez allowed 3 runs in 6 innings in their game 1 performances. As always, LET’S GO METS! The Royals defeated the Mets by a score of 5-3, storming back late against the Mets bullpen. The Mets had a 3-1 lead at one point, due in most part to two solo home runs by Michael Conforto, but the Royals came back in the 8th, scoring 3 runs off of Jeurys Familia after Tyler Clippard had issued back-to-back one out walks and Daniel Murphy made a key erro. The loss puts the Mets down in the series 3 games to 1, and they must win 3 in a row to win the World Series. Both starters cruised through their first two innings, with Steven Matz working around a couple of hits (including an interference call on a would-be stolen base in the 1st). In the 3rd, the Mets struck first against Chris Young on a long home run down the right field line for Michael Conforto to give them a 1-0 lead. Wilmer Flores followed with a single, and advanced to 2nd on a wild pitch before Matz bunted him to 3rd. Curtis Granderson then hit a sacrifice fly to right, on which it appeared right fielder Alex Rios forgot how many outs there were. Rios’s mistake gave Wilmer Flores an extra second to beat the throw home, and though the Royals challenged that Flores left too early, the call stood. The Royals struck back for a run in the 5th, after a Salvador Perez double booted in center by Yoenis Cespedes. Alex Gordon singled him in to make it 2-1, but Matz was able to work out of trouble, retiring the next 3 hitters. Michael Conforto tacked on a second solo home run in the bottom of the 5th to make it 3-1, but the Royals struck back again in the 6th. Ben Zobrist doubled to lead off the frame, followed by an RBI single by Lorenzo Cain, chasing Matz from the game. Though Cain stole 2nd, Jon Niese and Bartolo Colon combined to get out of the jam with a 3-2 lead. Addison Reed pitched a 1-2-3 7th before Tyler Clippard ran into trouble in the 8th. After retiring Alcides Escobar, Clippard walked Zobrist and Cain, prompting Terry Collins to bring in Jeurys Familia to try to get a 5-out save. Eric Hosmer sent a slow ground ball to Daniel Murphy that scooted under his glove, scoring a run and putting runners at the corners. The game was tied at 3 on a play that should have put runners on 2nd and 3rd with two outs. Singles to Mike Moustakas and Salvador Perez put the Royals up 5-3, before Familia got Alex Gordon to ground into a double play to end the inning. The Mets were quiet against closer Wade Davis in the bottom of the 8th as he tried for a 6-out save, but they began to put a rally together in the bottom of the 9th. With 1 out, Daniel Murphy and Yoenis Cespedes each singled, putting the tying run on first and the winning run at the plate with one out. Lucas Duda hit a weak bloop to 3rd base, caught by Mike Moustakas on the fly and flipped to first for a game-ending double play, as Yoenis Cespedes was caught way off 1st base. POSITIVES: Being down 3-1 in the World Series, there aren’t many. Steven Matz and Addison Reed were solid as ever, with Jon Niese and Bartolo Colon getting key outs. Michael Conforto hit two home runs before being lifted for defense. Hansel Robles pitched a clean 9th after the Mets had fallen behind 5-3. NEGATIVES: Murphy’s error could very well have cost the Mets the game, but Tyler Clippard walked back-to-back hitters with 1 out to set up the fiasco. Jeurys Familia couldn’t get out of the jam cleanly, though he did get a couple of ground balls at first. Yoenis Cespedes ruined any outside shot at a 2-out 9th inning rally by getting doubled off 1st base. Cespedes also booted a ball earlier in the game that led to a run. This was a game that summarized Mets fans’ fears. Weak middle relief, weak defense, and an inability to hit the Kansas City bullpen (save for a solo shot by Conforto against Danny Duffy) sealed their fate. On top of that, 2 runs in 4 innings against Chris Young won’t cut it, especially when they’ll face Volquez tomorrow, plus Cueto and Ventura if the series continues past tomorrow. 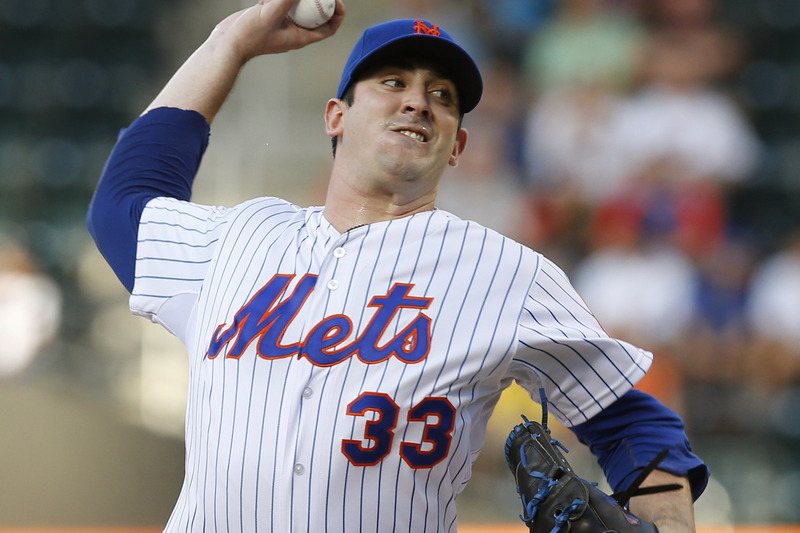 Tomorrow, Matt Harvey faces Edinson Volquez at 8:07 ET at Citi Field in a rematch of Game 1. The Mets are facing elimination, as they are down 3 games to 1. The Mets take on the Royals in Game 4 of the World Series. 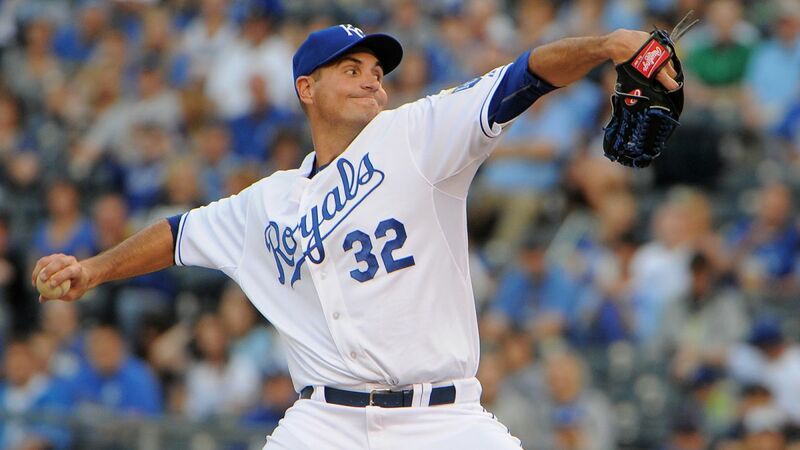 After the Mets’ 9-3 victory last night, the Royals currently hold a 2 games to 1 series advantage. 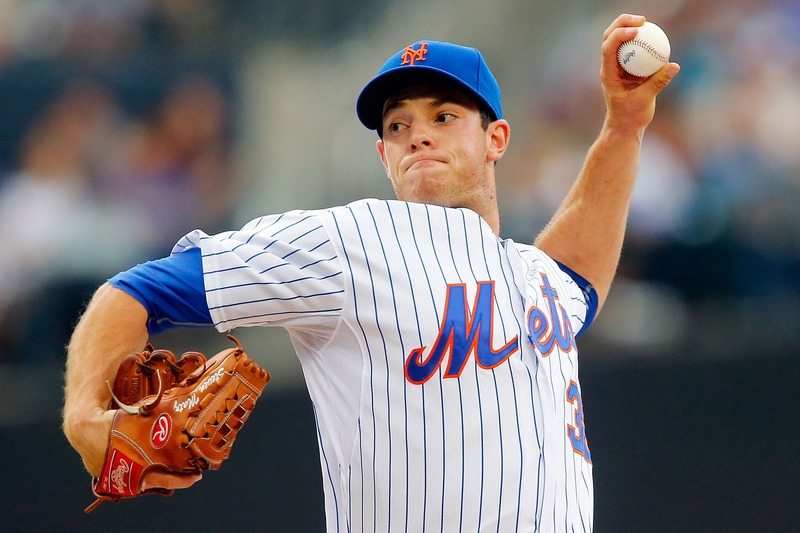 Rookie southpaw Steven Matz (2.27 ERA, 3.61 FIP, 1.23 WHIP, 35 2/3 IP over 6 starts) takes on veteran righty and former Met Chris Young (3.06 ERA, 4.52 FIP, 1.09 WHIP, 123 1/3 IP over 18 starts and 16 relief appearances). Young got the victory in game 1 after 3 innings of scoreless relief in extra innings. Matz, over 2 postseason starts, has a 3.72 ERA, 2.72 FIP, and 1.45 WHIP in 9 2/3 innings, having allowed 10 hits and 4 walks (1 intentional) while striking out 8. Matz’s best start was his most recent, a 4 2/3 inning effort in which he allowed 4 hits, 2 walks, and 1 run while striking out 4 in an 8-3 Mets victory over Chicago in game 4 of the NLCS. Young, in 3 postseason appearances (1 start) has a 2.31 ERA, 2.96 FIP, and 0.94 WHIP in 11 2/3 innings, having allowed 6 hits and 5 walks while striking out 15. In his one postseason start, Young went 4 2/3 innings, allowing 3 hits, 2 walks, and 2 runs while striking out 4 in a 14-2 Royals victory over Toronto in game 4 of the ALCS. The Mets defeated the Royals by a score of 9-3 in Game 3 of the World Series, cutting the Royals’ series lead to 2 games to 1. The Mets fell behind 1-0 early, but rebounded fast on a 2-run home run by David Wright. They fell behind 3-2, but came right back on a 2-run home run by Curtis Granderson, and the Mets would not look back. Noah Syndergaard struggled early, allowing 3 runs in the first 2 innings, but rebounded to pitch four shutout innings after that, including a stretch in which he retired 12 in a row (5 via the strikeout). The Mets jumped on Yordano Ventura early, with a single by Curtis Granderson and a home run to David Wright, and though Ventura got through the 1st and 2nd without issue after that, the Mets tacked on in the 3rd and 4th, knocking him out after 3 1/3 IP. Noah Syndergaard got off to a good start on his first batter, throwing up and in to Alcides Escobar before striking him out on a foul tip. However, he then allowed a long double to Ben Zobrist, an infield hit to Lorenzo Cain before getting Eric Hosmer to chop into a force out. The Mets were unable to turn the double play when neither Duda nor Syndergaard made it to 1st base in time (after Duda fielded the ball), and the Royals took a 1-0 lead. In the bottom of the 1st, Granderson singled to 2nd base before David Wright crushed a long home run to left, giving the Mets a 2-1 lead. Syndergaard ran into more trouble in the 2nd, giving up a bloop single to Salvador Perez and a single to Alex Gordon, putting runners on 1st and 2nd with no one out. Alex Rios singled down the left field line scoring Perez, but Michael Conforto threw Gordon out trying to advance to 3rd base (safe call overturned on replay review). Yordano Ventura bunted Rios over to 3rd before a passed ball scored the go-ahead run. The Royals took a 3-2 lead. Ventura retired the side in the bottom of the 2nd and Syndergaard did the same in the top of the 3rd. 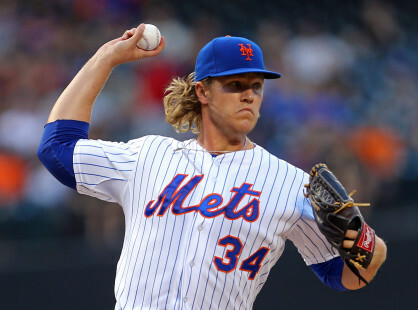 In the bottom of the 3rd, Noah Syndergaard lined a single to right on an 0-2 count before Curtis Granderson lined a home run down the right field line, putting the Mets ahead 4-3. Syndergaard once more retired the side in the 4th. In the bottom of the 4th, Lucas Duda led off with a single to left before Travis d’Arnaud doubled down the left field line. Michael Conforto singled in a run on a chopper to first baseman Eric Hosmer, scoring Duda to extend the Mets’ lead to 5-3. After getting Wilmer Flores to pop out, Ventura was lifted for Danny Duffy, who struck out Noah Syndergaard after a couple of bunt attempts. Duffy then got Granderson to fly out to end the threat. Syndergaard ran into trouble in the 6th, for the first time since the 2nd inning. After striking out the first two batters, Syndergaard allowed an infield single to Mike Moustakas before walking Perez and Gordon. Terry Collins allowed Syndergaard to face one more batter, and Syndergaard got Alex Rios to ground out to end the threat. In the bottom of the 6th facing lefty Franklin Morales, Juan Lagares pinch hit for Michael Conforto and lined a single to left with 1 out. Wilmer Flores was then hit by a pitch before pinch hitter Juan Uribe lined a single to right, scoring Lagares to make it a 6-3 game. Curtis Granderson then reached on a fielder’s choice by Morales, who spun and faked to multiple bases before throwing off-line to 2nd, loading the bases. The brain cramp was key, since Morales likely had an easy 1-6-3 double play if he had thrown to 2nd immediately. David Wright then singled up the middle to score two against Kelvin Herrera, Daniel Murphy walked, and Yoenis Cespedes hit a sacrifice fly to make it 9-3. Addison Reed, Tyler Clippard, and Jeurys Familia pitched a clean inning each to close out the 9-3 victory. POSITIVES: Curtis Granderson and David Wright were each 2/5 with a single and a home run. Granderson had 3 runs scored and 2 RBI, Wright had 1 run scored and 4 RBI. Wright became the first Met with 4 RBI in a World Series game since Rusty Staub in 1973. Granderson also made a fine defensive play in right field (video below). Noah Syndergaard was hit a little bit to start, but fought through 6 solid innings, allowing 3 runs on 7 hits and 2 walks while striking out 6. Syndergaard was also 1/2 at the plate. Travis d’Arnaud was 2/4 with a double, while Juan Lagares was 1/2 off the bench with a run scored. Addison Reed, Tyler Clippard, and Jeurys Familia worked a clean inning each. Juan Uribe, in his first plate appearance in over a month, singled in a run off the bench. NEGATIVES: Daniel Murphy was 0/4 with a walk, while Wilmer Flores was 0/3 with a run scored and a hit-by-pitch (though he, once again, made some fine defensive plays). Tomorrow, Steven Matz faces Chris Young in game 4, 8:07 ET at Citi Field. The Mets take on the Royals at 8:07 ET tonight at Citi Field in Game 3 of the 2015 World Series. The Royals have a 2 games to none lead. Young hard-throwing right-handers Noah Syndergaard (3.24 ERA, 3.25 FIP, 1.05 WHIP, 150 IP over 24 starts) and Yordano Ventura (4.08 ERA, 3.57 FIP, 1.30 WHIP, 163 1/3 IP over 28 starts) will face off. Syndergaard, in 3 postseason appearances (2 starts) has a 2.77 ERA, 1.44 FIP, and 1.08 WHIP over 13 innings while striking out 20, allowing 8 hits, and walking 6 (1 intentionally). His best start was his most recent against the Cubs, in which he struck out 9, walked 1, and allowed 3 hits in 5 2/3 innings of 1-run ball. 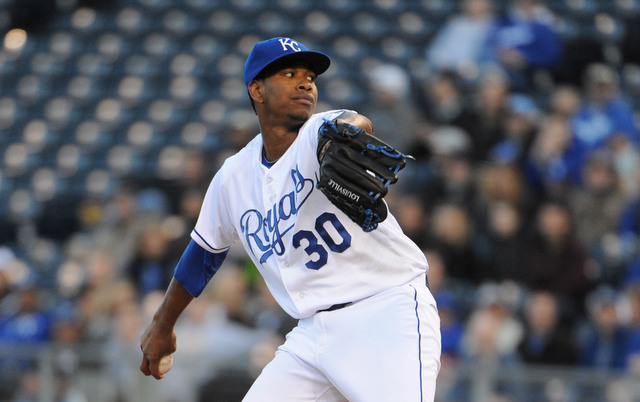 Ventura, in his 4 postseason starts of 2015, has a 5.09 ERA, 4.49 FIP, and a 1.59 WHIP. He has allowed 20 hits, 8 walks (1 intentional), a hit batsman, and has struck out 21 in his 17 2/3 innings of postseason work. Ventura’s best start was also his most recent, a 5 1/3 inning effort in the clinching game 6 against the Blue Jays, in whichi he allowed only 1 run on 4 hits and 2 walks while striking out 5. With the lack of a designated hitter in the National League park, the Royals must sit their power-hitting DH, Kendrys Morales. The Mets, on the other hand, opt to start offense (Michael Conforto) over defense (Juan Lagares), two days after they had the luxury of starting both. The Royals defeated the Mets by a score of 6-1, taking game 2 of the World Series to take a 2 games to none lead. Jacob deGrom was very strong over his first 3 innings, but worked in and out of trouble in the 4th before giving up 4 runs in the 5th. It was the first time since September 22nd that a Mets starter allowed more than 3 runs (Logan Verrett). Meanwhile, the Mets struggled mightily against Royals starter Johnny Cueto, who went the distance giving up only 2 soft hits to Lucas Duda, 3 walks, and a run while striking out 4. Both starters got off to a fast start, retiring the side in the 1st, before the Mets got a 1-out single by Lucas Duda, a soft grounder against the shift. Duda was quickly erased, however, on an inning-ending double play off the bat of Travis d’Arnaud. Jacob deGrom worked around a 1-out walk in the 3rd before the Mets put together a few baserunners in the 4th. Walks to Curtis Granderson and Daniel Murphy put runners on 1st and 2nd for Yoenis Cespedes, who grounded into what appeared to be an inning-ending double play. Eric Hosmer, however, came off the base at 1st, allowing Lucas Duda to dunk a bloop single into left to score the first run of the game. The Mets had a 1-0 lead. In the bottom of the 4th, Jacob deGrom worked around a leadoff fielding error, a 1 out single, and a 2 out walk, but deGrom would not be so lucky in the 5th. A leadoff walk to Alex Gordon set the stage, and Alex Rios singled to put runners on 1st and 2nd with no one out. Alcides Escobar, after failing to get a bunt down, singled into center to score the tying run. Ben Zobrist then grounded out to 1st, putting the runners on 2nd and 3rd with only 1 out. DeGrom got Lorenzo Cain to line out to center, but Eric Hosmer singled in two to make it 3-1 Royals. Kendrys Morales and Mike Moustakas followed with singles to make it 4-1. Hansel Robles and Jon Niese worked an effective 6th and 7th inning, respectively, while Johnny Cueto continued to retire the Mets in order. In the 8th inning, the wheels fell off for Niese, who allowed a single to Mike Moustakas and a double to Salvador Perez to lead off the inning. Alex Gordon followed with a double off of Wilmer Flores‘s glove, scoring only one run to make it 5-1. Addison Reed came in and allowed a long sacrifice fly to Paulo Orlando to make it 6-1. Alcides Escobar then tripled to make it 7-1. Sean Gilmartin came in to get the final two outs of the inning. Johnny Cueto, with a 7-1 lead, came out for the 9th inning, and worked around a 2-out walk to Daniel Murphy to finish his complete game 2-hitter. POSITIVES: Lucas Duda got a couple of hits, however cheap they may have been, and they proved to be the only two hits the Mets would have on the night. Hansel Robles worked a 1-2-3 6th (albeit with a couple of 400 foot fly balls) and Jon Niese worked a clean 7th, before imploding in the 8th. Sean Gilmartin got two quick outs once the damage was done. NEGATIVES: Other than Duda, there were a lot of 0/3s and 0/4s in the box score, with Daniel Murphy 0/2 with a couple of walks. Jon Niese did not do well in the 8th after a strong 7th, and Addison Reed proved again how he should never ever enter the middle of an inning. Jacob deGrom was solid at first, but was unable to put away the Kansas City batters in the 5th. Game 3 will be on Friday at Citi Field, with an 8:07 ET start time. Noah Syndergaard will face off against Yordano Ventura. The Mets face the Royals in game 2 of the World Series at 8:07 PM ET at Kauffman Stadium in Kansas City. The Royals currently hold a 1-0 series lead after their 5-4 victory in 14 innings last night. Jacob deGrom (2.54 ERA, 2.70 FIP, 0.98 WHIP, 191 IP over 30 starts) faces off against Johnny Cueto (3.44 ERA, 3.53 FIP, 1.13 WHIP, 212 IP over 32 starts between the Reds and Royals). Jacob deGrom has been fantastic across his 3 postseason starts, allowing only 4 runs over 20 innings with 15 hits and 5 walks (1 intentional) while striking out 27. Johnny Cueto has not been as strong for the Royals over his 3 postseason starts, having allowed 14 runs over 16 innings with 15 hits, 7 walks, and a hit batsman while striking out 15. Cueto’s worst start was his most recent against Toronto, in which he allowed 8 runs on 6 hits, 4 walks and a hit batsman wile striking out only 2 over 2+ innings of work. However, Cueto’s ALDS game 5 was an 8 inning effort in which he allowed only 2 hits and 2 runs while striking out 8 and walking none. The Royals have never faced Jacob deGrom, but the Mets faced Johnny Cueto once in 2015 when he was a member of the Cincinnati Reds. Cueto held the Mets to 2 runs on 2 hits and 3 walks over 6 innings while striking out 6. Cueto, though, has had trouble since coming to the Royals, and carried a 4.76 ERA, 4.06 FIP, and 1.45 WHIP in 81 1/3 IP over 13 starts. Juan Lagares gets the start over Kelly Johnson today, and why not, given his defensive prowess and strong showing off the bench in game 1. Another reason Lagares is starting may have to do with Johnny Cueto’s reverse platoon splits. For the 2015 season, righties have a .322 wOBA against him while lefties are at only .262. Michael Conforto serves as the designated hitter, while Yoenis Cespedes moves to left field.